I hate my body and don't know what to do and how to start loosing more weight? I feel so disgusting when I eat and wish I didn't have to eat at all. I've always been bigger than others, bigger hips, breasts, thighs and my stomach isn't huge but I'm wide so I look huge. I weight 250 almost 260lbs when school started and I've been so stressed about losing weight I barely eat... show more I feel so disgusting when I eat and wish I didn't have to eat at all. I've always been bigger than others, bigger hips, breasts, thighs and my stomach isn't huge but I'm wide so I look huge. I weight 250 almost 260lbs when school started and I've been so stressed about losing weight I barely eat or it comes back out and now I'm 230lbs. I'm 5'7 and I'm 16, 17 in a few days. I want to be 190-200 before school ends in June. I hate cardio sadly and wouldn't mind lifting instead. I don't want to keep hating myself and being so uncomfortable and insecure about how my body looks 24/7 I don't want to have to barely eat in order to loose any weight. Can someone give tips? I want to go to the gym but my anxiety is high especially when it comes to my weight but if I don't go to a gym I won't work out honestly. Any work out routines or tips to loose this weight? Usually eating less won't help, unless you are eating an unreasonable amount of food. If you don't know how much that is then, try to see how much food everyone around you is eating. That isn't always a good indication either so just try to do what feels right. Also when you are going about your normal day you burn both the food you just ate and stored fat, but if you're not an experienced athlete then while you're exercising you only burn recently digested food. If your only burning food you just ate then that does nothing to your stored fat. Also here are some things I've noticed and used to help myself. Don't eat things really high in sugar. I know that probably sounds obvious, but it's not always so black and white. Always check food labels. If you are packing yourself a lunch or eating a snack always check the label and eat only the serving size. Also, sugar is sometimes hidden in things, for example, you might think that you're eating a healthy peanut butter and jelly sandwich, but read the label on the jelly and you'll find that it's full of high fructose corn syrup, corn syrup, and sugar. You should probably do some research too and figure out how to tell if something is healthy by looking at the label. Also if you are trying to lose weight you will need to eat fewer calories than you are using. That's just how it works. I hope this helped, but probably not since it was all over the place. It takes dedication and time to lose a lot of weight. It's not something that happens over night or suddenly. I will give you some tips to help you on your way. 1. Create a food diary write down everything you eat each day and how much of each thing you eat. If you are aware of what you eat and how much you are eating you are more likely to think do I really need that second piece of cake or second bag of crisps, etc. 2. Start exercising and make an exercise routine. Start out small. For example you might start out with something like a 15 minute walk each day and/or 10 mins of cardio. Vary the routine so you don't get bored. Go on different routes for your walks or listen to different music each time you exercise. As you become more fit increase the amount of exercise you do slightly each time. Also exercise is a natural anti-depressant, your body releases endorphins after strenuous exercise that's why people get a thing known as a runner's high. You may feel better in yourself after exercising. 3. Don't starve yourself. Starving yourself doesn't help with weight loss. When you starve yourself your body goes into starvation mode and slows your metabolism down which is counter-productive to losing weight. 4. I don't know how your diet is but if not already try eating more fruit, vegetables and protein and less foods with empty calories which is if you don't know, empty calories foods are foods that is high in fat and carbs and low in other nutrients. It's ok to eat empty calorie foods sometimes but don't make them your main meals. 5. There will be times when you wonder if all the hard work is worth it. Don't give up when you feel like this. Think of how much better you will look and feel when you are fitter and have lost weight. I was in the same situation and it culminated in concerns for health and that became my motivation which is the first step. The next one I would recommend is downloading a calorie tracker app to keep you accountable and get you in the habit which really helps your goal. I suggest my fitness pal because even though there is a premium version you can pay for everything you need is in the free version and don't need to spend money on it. The app will then guide you step by step into your goals and give you a generic daily goal based on your height and weight which you can change. The thing I like the most about the app other than tracking your food and exercise is that it comes with a bar code feature that let's you scan any food so you don't have to manually put everything in. Hi. I've been in your shoes, and recently, too. Here are two things that have really worked for me: as far as the gym, I do go. If you build it into a regular routine, you won't have to struggle, each time, to decide to go or not. Further, every gym has a private area for women to exercise, without anyone seeing you,usually adjacent to the dressing room. This may make it more comfortable for you. Second. I never did anything like it before, but joined Weight Watchers, and it does work ! They leave choice up to you, you can really eat anything and as much as you wish and as often as you wish; the catch is that everything is given points to record and monitor by you. You are allotted a certain number of points each day, and how you choose to eat them is entirely optional. IF you stick to the regimen, you WILL lose the weight. They also offer tools to keep track, support meetings which help, and access on line to tips, videos, and answering questions and more. I really want to encourage you to give it a try. You pay for it, though , perhaps your parents would be able and willing to help out with this. Good luck and very best wishes! P.S. Maybe check with a doctor first? The secret to losing weight is to have a healthy pH level. Eat alkaline forming foods, and avoid acidic foods. Do a google search to find out which foods are alkaline forming. Why does acidic food make you gain weight? The body must maintain a balanced pH level to stay alive. If your body is too acidic, you will die. 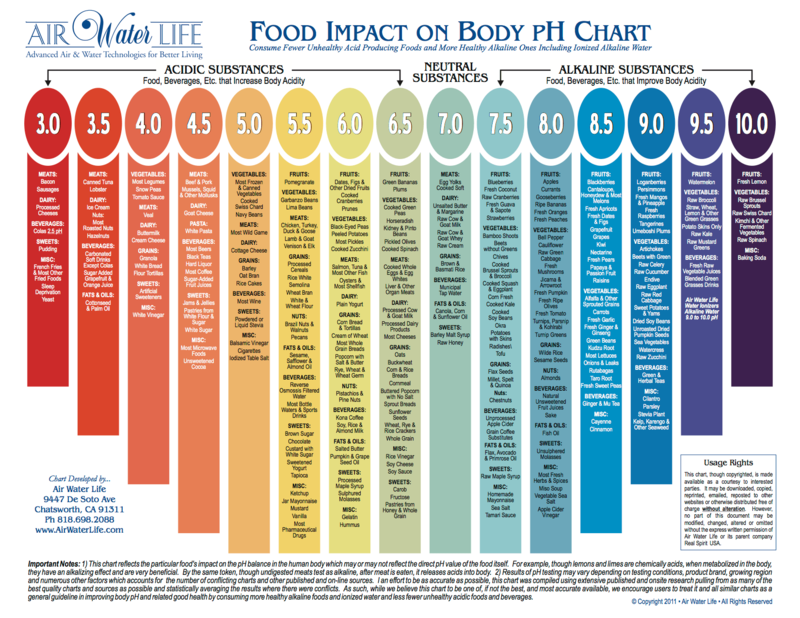 Your body balances its pH level by consuming nutrients. Since you are now nutrient deficient, you will be hungry. Acidic bodies create calcium deficiency. On top of weak bones, you will also have other symptoms, such as insomnia. Insomnia is associated with weight gain. So, eat alkaline forming foods. Most natural and organic foods are alkaline forming. Drink plenty of water. It's not that hard. I'm 32 years old, and yes I've been fat before. Today, I eat like a pig, and eat 600 calories more per day than I should, but I don't gain weight. Because I avoid acidic foods. Stay off the pop and sugar. Make a lifestyle change. Any "diet" you go on may help you lose some weight but you'll tend to gain it back if you go back to your previous ways. Unhealthy diets also can cause weight loss of tissue other than fat (such as muscle, especially if your calorie intake is too low). Use a site like freedieting.com to determine about what your calorie intake should be (look for the Daily Calorie Needs calculator link on the left side of their home page). Eat a healthy well-balanced diet at least 80% of the time...keep junk food, fast food, sweets, sodas, etc to a bare minimum (the occasional treat if you feel the need). Avoid as much processed food as you can. Focus on lean protein, fruits and veggies, complex carbs, healthy and healthy fats. Keep your calories at a healthy level when working to lose fat, and go for 4 - 6 small meals/snacks a day to keep your metabolism up for longer...add to that a lot of water, and cardio exercise (shoot for at least 1 hr/day, at least 5 days a week) and you'll be on your way! When you reach your goal, simply modify your calorie intake and/or exercise to allow you to maintain your weight instead of continuing to lose. How to lose weight has been asked/answered here in various ways, literally THOUSANDS of times. That's why there's a search feature at the top of the page. The should be no need for anyone to type another answer to that question, because all the information is already available, if you just do a quick search. I know how you feel.Starvation isnt the way and it means the body will hold fat and when u do start eating youll gain weight very quickly. All you need do is eat in moderation.Do you eat a lot of sugar drinks,Lollies,Chips,friedfood, Unhealthy things like that?cut that out of your diet or reduce the amount you eat. Heres a few tips to lose weigh without the work. *Eat a variety of food groups.limit carbohydrates and sugars. *Get enough sleep.when your tired your hungry and metabolism is slower. Okay, losing weight takes a while; you can't get discouraged. Don't expect to lose more than 2 pounds a week, more than that is unhealthy. Workout routines alone do not lose weight, diet does. 1. Eat 500 calories less than you need a day this is called a caloric deficit. 3. Eat fewer animal products, Focus your diet on vegetables. 4. Read the ingredients, if there is something you can't pronounce in it, don't eat it. you should lift lighter weights if you hate cardio. Lifting light will make you look more toned and slim. Lifting heavy will make you look big. However you have to do some cardio and it doesnt have to be running. My cardio is 1 min mountain climbers, 4 sets of 25 jumping jacks and 5 sets of 45 sec jump rope. Combine that with lifting light weights and you should lose 2-3 lbs per week. At the start of this year i weighed 275 lbs and im now down to 205 lbs with my goal being 170 lbs. Good luck and your time starts now. Merry Christmas! I feel you. Don't go to like a "trendy" gym where everyone from school goes, try to find a smaller one, like the kind of place where moms and grandpas go. It's great, because those are the places everyone goes to actually get in shape, and there's no judgement. Honestly, just being in a gym is very admirable because it shows that you are trying to make a difference. Is it okay for a eleven-year old girl to be working out a lot? If your stomach hurts on atkins is this a sign you are burning stomach fat?